Bring approx. 1 cups of boil water. 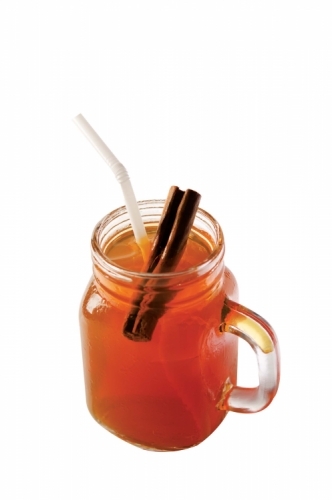 Decrease heat to low and add 3 cinnamon sticks to the water. Cover and let simmer for 8 minutes. Next, add 1 tea bag to the pan. Cover and let simmer for 3 minutes. Remove cinnamon sticks and tea bag - discard. Pour mixture into a pitcher and fill remaining area of pitcher with water. Add 1/2 cups of Splenda. Stir until dissolved.